OT: Relevant or Archaic? – Share God's Grace. From a Christian perspective, the New Testament is the fulfillment of the Old. The work God began with the Israelites is foundational in the Gospel and the works of the Apostles. Since we are committed to discipleship in Christ, God’s work and deeds with the “Chosen People” establishes the groundwork for modern Christ centered ministry. Each congregation is unique and views the Bible from various political, cultural and ethical perspectives. How we teach the OT depends on which direction the church is heading. Sadly, for many small rural churches the pastor is a hospice minister overseeing a respectful and dignified death. In other cases, the goal is revitalization, finding some means to breathe new life into an old church. Moreover, for others it is simple maintaining the church and holding true to the traditions and beliefs that had sustained it for numerous generations. The application of the Old Testament lessons will depend on which stage of the church’s life cycle it is in. If a church is destined to die along with its older members than using the Hebrew Scriptures to guide it to a deeper understanding of the modern church’s role in society seems superfluous. 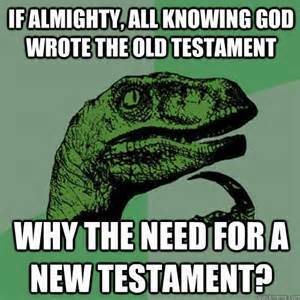 Reaffirming long held beliefs of the Old Testament will suffice. Their faith does not need to be defended or defined but instead reaffirmed, even if Moses does look like Charleston Hesston. If a church is to be revitalized, or a new church planted, then the archaic and historical nature of the Hebrew text needs to be given renewed life and relevancy for the modern congregation. Otherwise, contemporary culture rather than a deep and solid understanding of our Judean roots define the significance of the gospel and epistle scriptures. Modern Christian ministry will have shallow roots embedded in popular society instead of the deep roots that draws strength from the teachings of the OT. For the newly emerging Christian the OT is a mixture of mythology, propaganda and historical details, which seem to contradict and compromise the Bible. Thus, it appears to provide a shaky foundation because there is so much in it to explain and understand. What is relevant and what is not? Does the story of creation have meaning in light of the overwhelming scientific evidence? Are the exact dimensions of Noah’s ark essential to understand God’s covenant with Noah? Is the monarchy of David truly germane in the divinity of Christ? In the NT, we see a clear linear progression from the birth of Jesus to the modern church. This progression is less clear in the OT because of the confounding details the ancient OT authors placed in their writing. As we struggle to determine the significant, or insignificants, of OT writings we can lose track of God’s intentions for the modern Christian. While we cannot dismiss these details as unimportant, we can handle them to support, or at least not confuse, the essential purpose of God. It was God who created the earth and nourished His human children to care for it. This was a simple desire for paternal fulfillment and nurturing. That same paternal instinct led them from slavery and prepared them to take ownership of a land that He gave them. When human enemies besieged the Israelites, God sent judges to protect them and ultimately allowed them to have a false and disobedient king to lead them. He then anointed a true king and established the covenant that humans who are devoted to and place their trust in God will fulfill God’s authority. These humans would be kings, prophets, apostles and Jesus himself. Through them God established the true nature and purpose of discipleship. It is important not to be bogged down in the details and attempting to find significance in every word and sentence. It is also essential to not dismiss difficult and archaic scriptures as insignificant. Instead, we need to discover the essential truth of the scriptures and emphasis their relevancy to modern Christianity. Understanding the indispensable truthfulness of the OT is what gives meaning and purpose to the NT, which helps the modern Christian become stronger Disciples of Christ. From creation in Genesis to the Babylonian exile and the works of the prophets, the OT demonstrates God’s involvement in guiding the Israelites towards the time of the Messiah. God’s work in the OT is foundational and while details go into creating that foundation, for modern Disciples of Christ it is more important we understand the struggle made to build that foundation and its solidity in our faith.